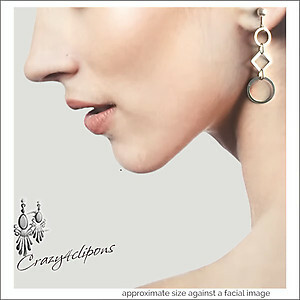 Features: These earrings are fun and sooo light. 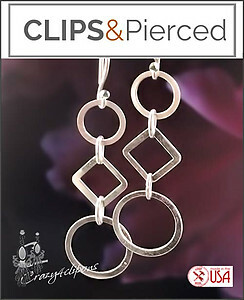 Sterling silver diamond shapes and circles all play and dangle together. The simplicity of the lines makes them very casual and the lightness makes them so comfortable to wear.